You can use the following IIS URL Rewrite rule to block the BaiduSpider User-Agent on your website. The only access allowed is to robots.txt, all other requests are blocked with a 403 Access Denied. Expand the pattern= with multiple user agent strings, divided by a pipe (|), to block more bots. For example pattern="Baiduspider|Bing" or pattern="Googlebot|Bing". 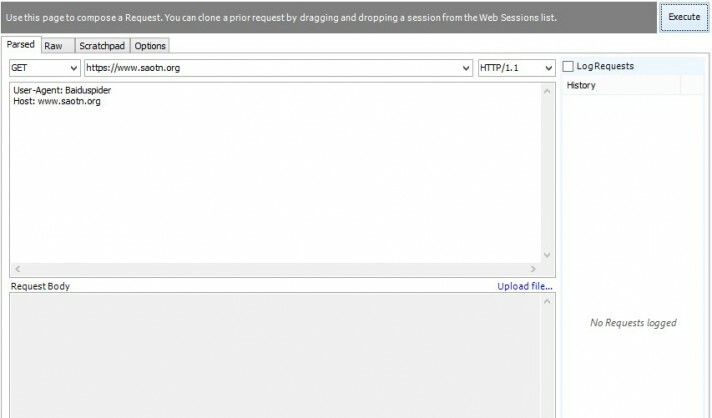 Hint, search IIS URL Rewrite related posts on Saotn.org! Using Fiddler‘s Composer option, to compose an HTTP request, you can easily verify the rewrite rule, as shown in the next two images.